When selling cranioplasty implants, how do you beat the competition? Know the pro’s and con’s of each material. Here is a list of cranioplasty products used to fill voids and patch defects in the cranial skeleton. 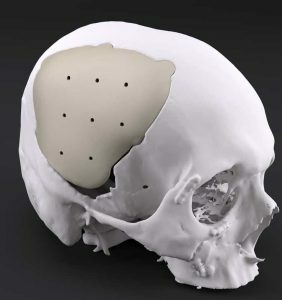 The information below has been gathered from whitepapers and anecdotally from representatives in the field in an effort to best evaluate the market for cranial implants. PEEK (poly ether ether ketone) is the preferred material for cranioplasty implants in hospitals around the world. It is the “gold standard” for large defects and also well suited for small and standard defects. While the perception of PEEK is premium, MedCAD is continually improving the patient-specific medical device process in a way that makes PEEK competitive against all options. 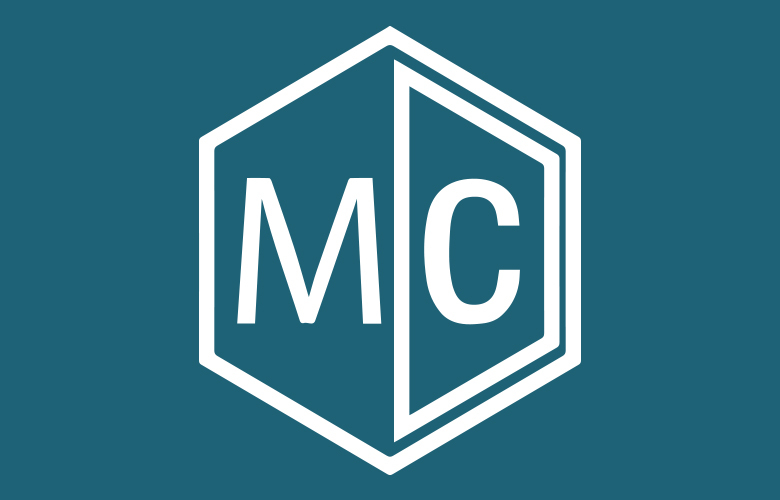 MedCAD PEEK vs. Other Companies: MedCAD provides patient-specific PEEK implants to meet customer-specific needs like timeframe, customization, and high quality. Other companies offer patient-specific PEEK implants in two weeks or more while MedCAD delivers within 4-5 days on average. PEKK (poly ether ketone ketone) is a 3D-printed variant similar to PEEK material, operating in much the same way as PEEK. The 3D-printing process of PEKK leaves pores in the implant that the manufacturer sells as “promoting bone growth” while MedCAD would flag the implant as a sterilization risk. PMMA (polymethyl methacrylate) or Acrylic is useful in procedures needing increased modification. Titanium mesh and bone cement are commonly used in cases with a smaller defect sizes (under 100cm²) with the expectation of vascularizing the void with hydroxyapatite. While bone cement quickly begins osseointegration with patient anatomy, it may take several years to fully integrate. The combination of titanium mesh and bone cement can amount to reportedly similar costs to PEEK if you include surgical involvement in the cost analysis. AccuShape PEEK implants, in comparison, are designed to match the defect and require minimal modification. 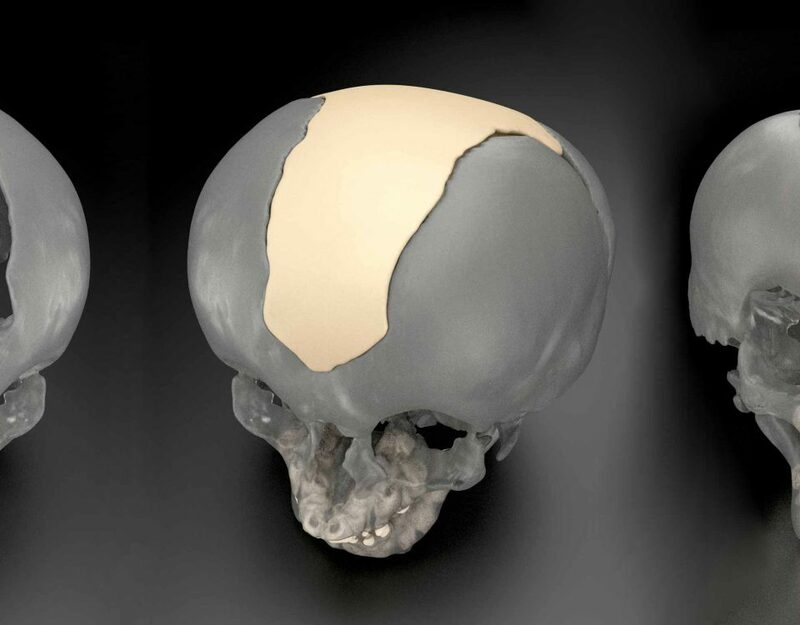 Porous polyethylene is a formable material used as a highly customizable cranial implant. Due to the material nature of porous polyethylene, it may not support fixation with titanium screws. Some companies ship two implants (sterile) in the case of a dropped implant. Porous Polyethylene vs. PEEK: porous polyethylene is less expensive, but it is soft and may have trouble holding screw hardware compared to PEEK. Value to the patient is key. If the surgical priority is to protect the patient’s brain with a durable and stable implant, PEEK is the best option to perform for the total life of the patient. Understanding the short and long term surgical goals combined with material information are factors that can help reps sell more, make more money, and deliver quality products.